The Antigua Aduana proudly announces Hasta La Basura Se Separa [artcrush], an exhibition curated by the Austin-based group Los Outsiders: Salvador Castillo, Michael Anthony García and Hector Hernandez. Presented in the border town of Nuevo Laredo, Tamaulipas, Mexico, Hasta La Basura Se Separa [artcrush] features the work of 15 contemporary artists from Texas, New York and Utah. The artists in this exhibition, Robert Boland (Austin, TX), Jaime Castillo (Austin, TX), Hunter Cross (Austin, TX), Michael Anthony García (Austin, TX), Katy Heinlein (Houston, TX), Hector Hernandez (Austin, TX), William Hundley (Austin, TX), Kathy Kelley (Houston, TX), Michelle Mayer (Brooklyn, NY), Eduardo Muñoz (Austin, TX), Teruko Nimura (Austin, TX), Jared Steffensen (Salt Lake City, UT), Jade Walker (Austin, TX), Mike Womack (Brooklyn, NY) and Eric Zimmerman (Austin, TX), consist mostly of sculptural and installation practices. With a special emphasis on found objects and the use of recycled materials these artists mix their personal memories with our greater cultural histories. The Antigua Aduana Cultural Space in Nuevo Laredo, Tamaulipas, Mexico is a historical building that originally served as the warehouses of the Custom House. The complex also contains the Sergio Peña concert Hall. 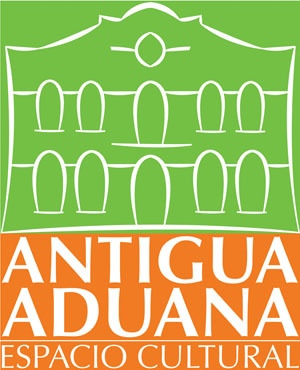 The Antigua Aduana Cultural Space is located at César López de Lara and Arteaga, Nuevo Laredo, Tamaulipas, Mexico. Hasta La Basura Se Separa [artcrush] will be on view Nov 15 thru Dec 31, 2008.
or contact Los Outsiders at info@artcrush.net.